Paul McGuire is a nationally syndicated radio host and a frequent guest on Fox News and other media outlets speaking on a variety of topics affecting the economy and the culture from a biblical perspective. He is also a “watchman on the wall” well studied in end times events and prophecy. Take a moment to listen to his video here. I recommend you subscribe to his website, paulmcguire.org and also follow him on You Tube where he frequently adds informative clips on current events. 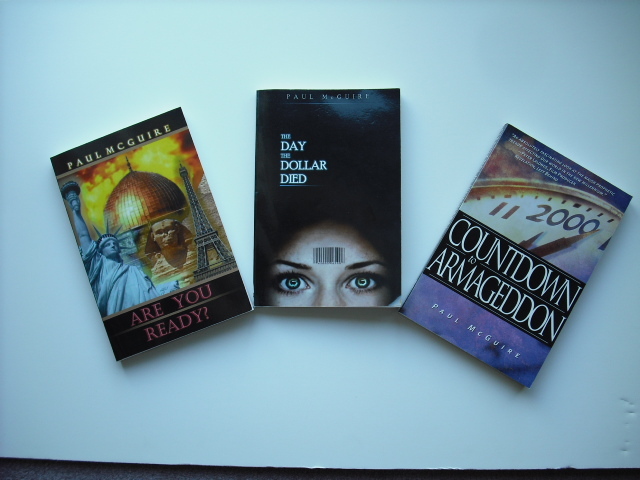 Paul is also the author of numerous books on end times and the economy which can be purchased through his website.